A smart home doesn’t need to be a boring home, run only by automated clocks, energy monitoring, and voice-controlled personal assistants. The technology that makes these necessary albeit somewhat boring aspects of a smart home run so efficiently also can be used to make your smart home a fun home. Cue the lights! The Philips Hue lights, that is. These smart lightbulbs can do much more than light up your house. But one of our favorite features is their ability to integrate with music. So read on for our favorite Philips Hue music ideas. Set it to your favorite song or a whole album. Music has the ability to transport us back to a special time and place in history, and now you can pair that with the power of lights in 16 million different shades. Using an app like Light DJ (for iOS) or Light DJ Visualizer (for Android) gives you a variety options for creating a light show with your Philips Hue smart lights that will entertain you as the music carries you back in time. Either let the built-in visualizer do the work of matching effects to the intensity of the music, or try your hand at creating special effects that add drama to the moment. On screen, you’ll see a laser light show unfold, while around you the smart lights of your home will match the beat. You have a memorable song for a special day (think graduation, that unforgettable party with your best friend, your wedding song, or that hit from last summer you can’t stop humming) and you want to make a light show to enjoy while playing it over, and over, and over again. It’s the holiday season and you want to program your smart lights to be timed with the music for an indoor show. If you want to combine both LIFX and Hue lights in your show, then try the Lightbow app. Using the Ambify app (iOs only), you can give your home a specific ambience. Have you ever really turned up the dial on a song, so that you could almost feel it in the room? Well, one of our favorite Philips Hue music ideas captures that same sensation. With Ambify, play tracks from your iTunes library within the app, while your Philips Hue smart lights sync to the mood and tempo of the music. The result is lighting that captures the feeling of the song playing. 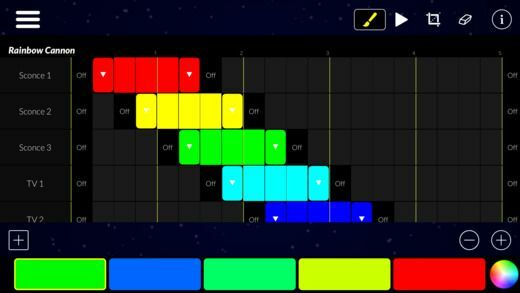 Unlike Light DJ, this app doesn’t have the hands-on component of special effect selection – which makes it a more touch-and-go solution for enhancing your music experience. But if you’re looking for a set it and forget it solution, this could be the app you need. You’re stuck in your office powering through on a big project and need something to get you going. Just keep the decibels at a suitable level, unless you have an in-home office! Playing lullabies to your little one at night. Combine soothing music and gentle light effects to create a soothing atmosphere to rock your baby to sleep at night. Try not to doze off yourself! This may be one of the most relaxing Philips Hue music ideas on our list – and maybe the most valuable if you’ve been looking for novel ideas to put your baby to bed! 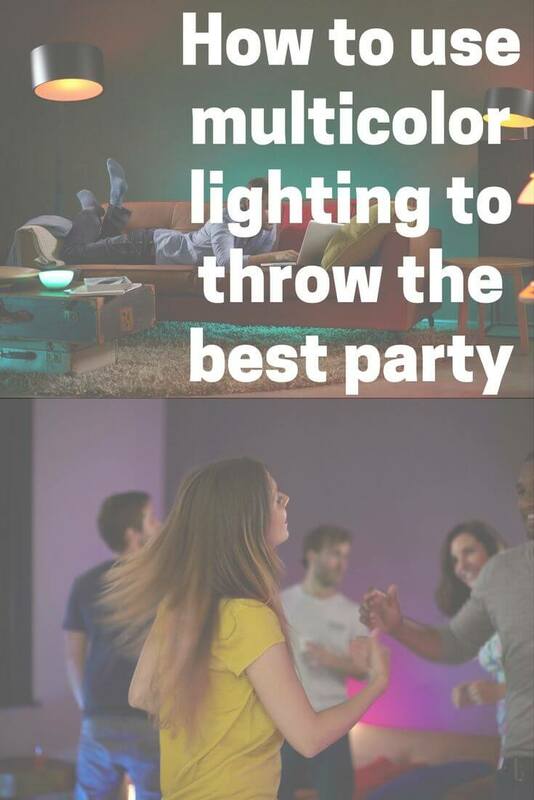 The Hue Disco app is available for both iOS and Android devices, and promises to deliver a myriad of lighting and strobe effects to keep the party going all night long. Hue Disco’s stroboscope is a super bright strobe perfect for the craziest parties. Unlike the Ambify app mentioned previously, Hue Disco can listen for music being played externally (Ambify utilizes music stored on your device). This means a live band, venue speaker system, or radio can all be sources of music that Hue Disco uses to light up your smart bulbs. You need a hands-off solution to providing a party-ready atmosphere. With graduation season just around the corner, replace an expensive DJ with Philips Hue smart lights and the Hue Disco app. 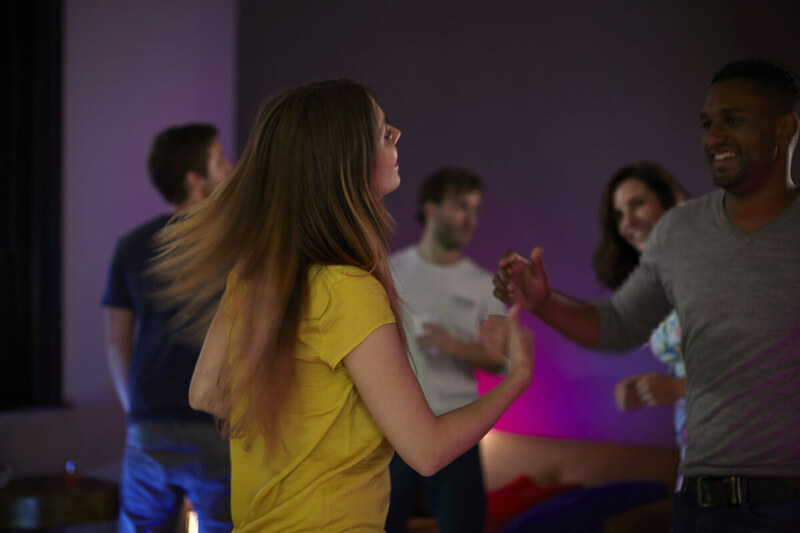 When the band arrives or your power up your stereo system, Hue Disco will take over in setting the mood with flashes of color, strobe lights, and more. Set up a DIY disco ball by covering a smart bulb with a unique light fixture and turning on the Hue Disco stroboscope. These are just three Philips Hue music ideas to get your creative juices flowing. Whether you’re looking for a creative outlet to design your own light show, ambient lighting to match your music, or a way to create a ready-made party complete with strobing lights, there is an app for that! 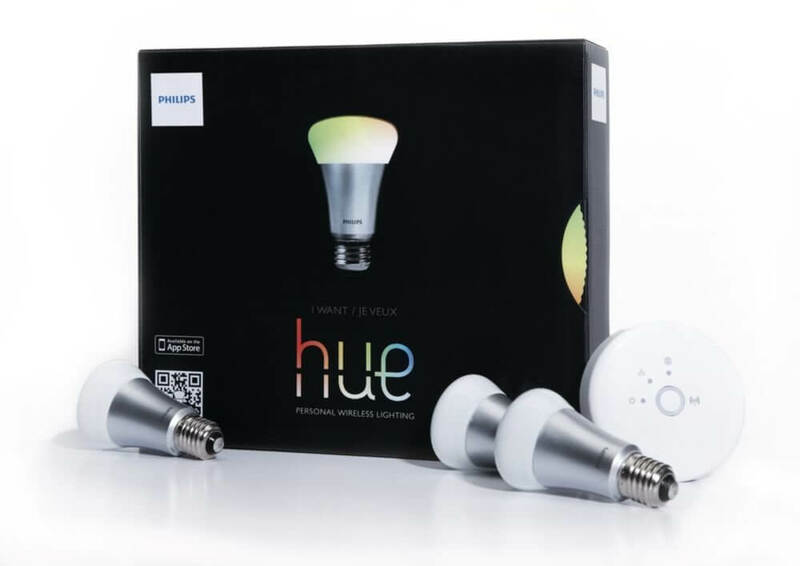 All you need to get started is the Philips Hue smart lighting system, and one of the apps mentioned above. You can also type “Philips Hue” in the app download section of your site to find other Hue apps. The best thing about smart home technology is that it’s ever-changing and highly customizable. 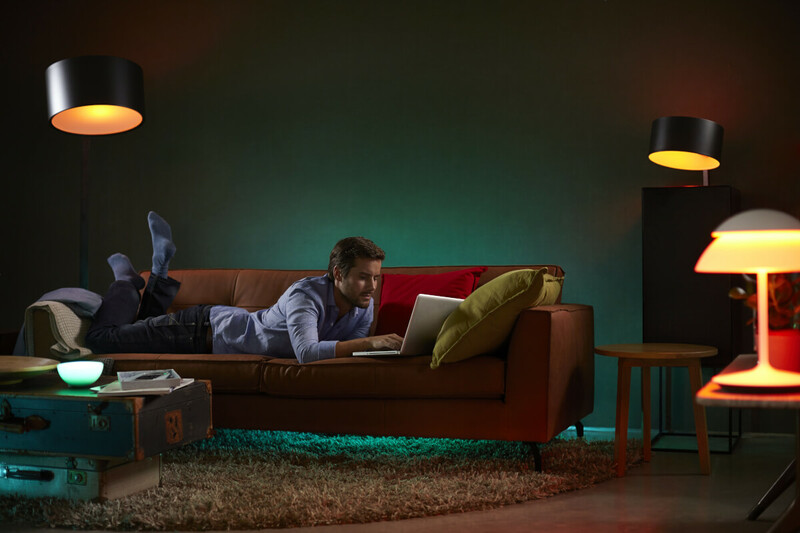 Do you have a great Philips Hue music idea? Share it with us below!